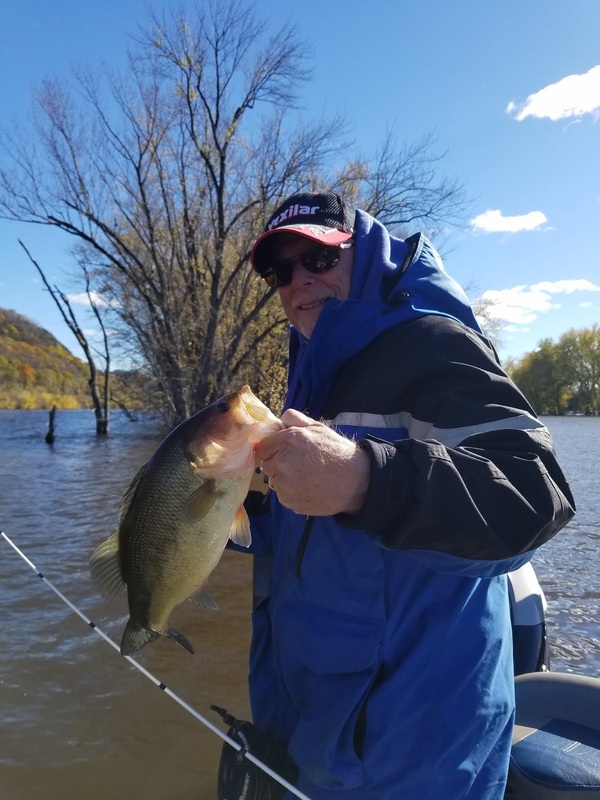 This past weekend, Don Henry and I made our annual trip to the Mississippi River for a little fall fishing. The past couple years, the weather worked out to our favor...this year, the weather tested us on both days. Saturday morning on our way to Pool 9 we ran into an October Blizzard. Winds were gusting up to 40mph and the snow coming down was thick as fog. Typically a little snow in October is nothing, this was a hard snow that blanketed everything for a few minutes, thankfully it did melt away quickly as the temps were near 40 degrees. We fished in some flurries which isn't anything brand new to fall fishing, but the 30+ mph north winds were a constant battle. The Minn Kota Talons and Ultrex trolling motor made the day much more tolerable fighting these conditions. 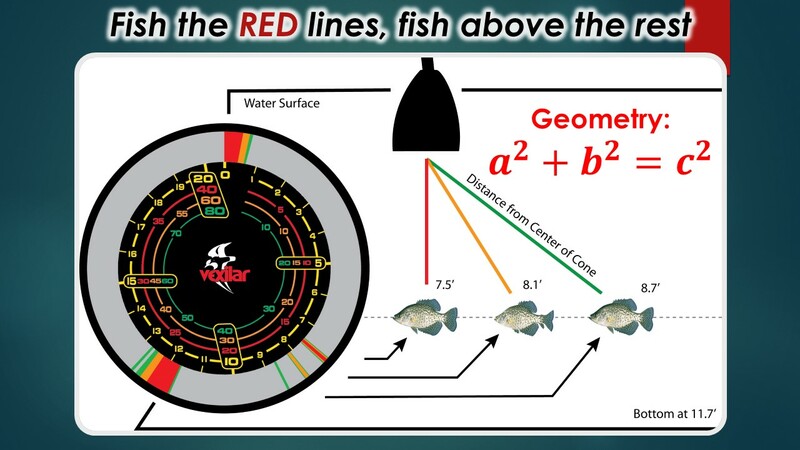 These two tools give you total boat control and allow you to fish any style you want. The day was a typical fall day up there, however the fish were not easily tricked. 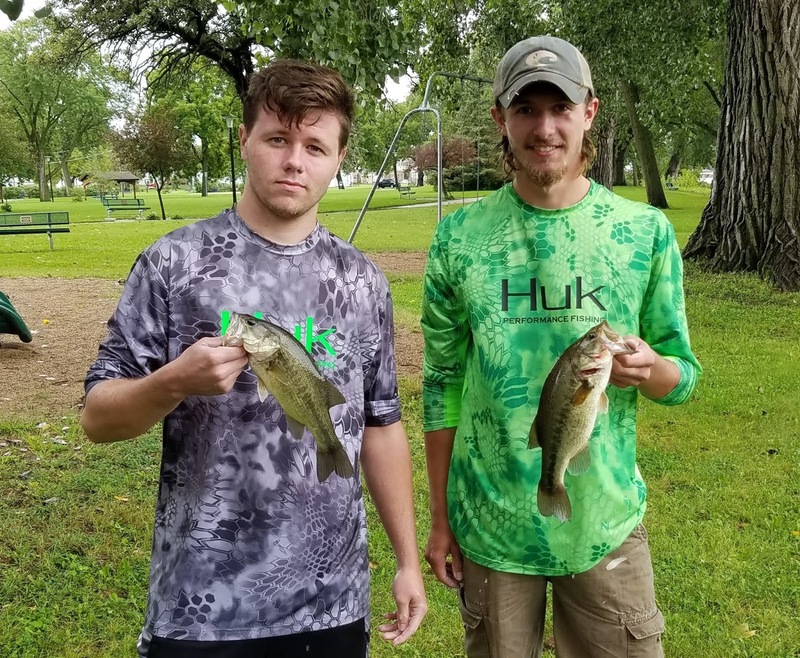 We had to really slow our baits down and fish through the trees and weeds to get them to bite. I know I say it plenty but having the right equipment on these "light bite days" is important. Using med/heavy flippin rods by QuantumPT and smooth casting control of the QuantumPT reels really made these terrible fishing conditions disappear. 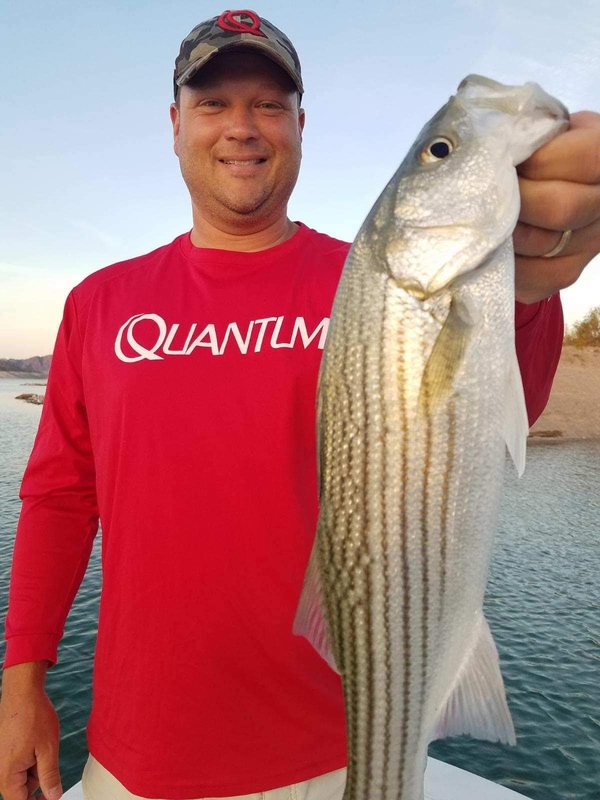 Backwater areas with little or no current are always the popular places to be this time of year. The water in Pool 9 at several different locations was hanging right around 48 degrees all day long. It was a good day, boating a few dozen largemouth bass with plenty of two pounders tugging at our lines. The cold and wind wore us out and by the sunset we were regrouping at the motel for the next day. We woke up Sunday to temperatures of 28degrees. Needless to say we were in no hurry to get on the water today. Some tackle prep, a hot breakfast and coffee later we were headed to the ramp in Pool 10 for some more backwater fishing. Today, the wind was out of the south and much lighter, and the sun was out all day long. The temperatures only rose into the high 40's but it felt great all day long with that bright sunshine. Today was a similar day, focusing on backwater areas where the fish were starting to gather for the winter months. The middle and upper sections of Pool 10 have many of these areas and are quite easy to get to. Rocks are always good this time of year and the bass were holding true on this fact today. The water on Pool 10 was at a 15.9ft level, 7-8 feet higher than a typical October day, this gave the fish plenty of areas to hide. Flooded trees, especially willows seemed to hold a lot of baits today. Don and I pitched craws and tubes into the tree stems and the fish were ready for a quick meal. Many fish were caught using this method, but a method that continues to shine for me is the swing-head jig. This, paired with a Hot Rod Baits Big Craw has been a great search and catch combination for me. It is quickly becoming an everyday tool for me. One other method that shined today was the jerkbait. I was using the IMA Flit 120, this jerkbait has 3 treble hooks, suspends in the 6-8 foot range and you can really cast thing a long ways. 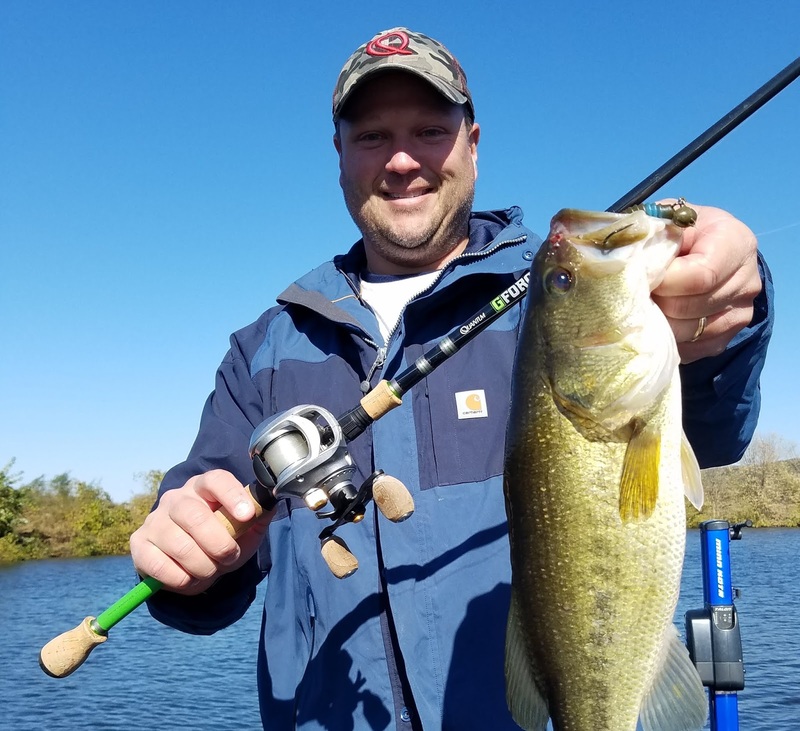 It is ideal for fall fishing with the stop and go presentation for weary cold bass. This bait caught me my largest ever Mississippi River bass today, it weighed in at 4.76#, a true beauty. Needless to say it was the highlight of the trip. Overall it was a great 2 days of fishing on the Big River with a couple of friends. It might be the last time I visit the Mississippi this year and if so, it will be one to remember for a long time! 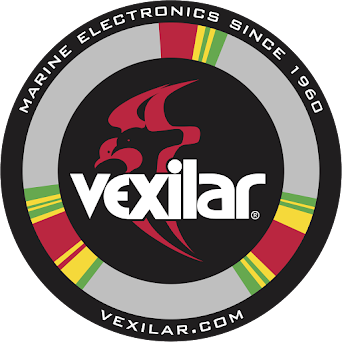 Vexilar came out with a slick Glo-Ring this year. 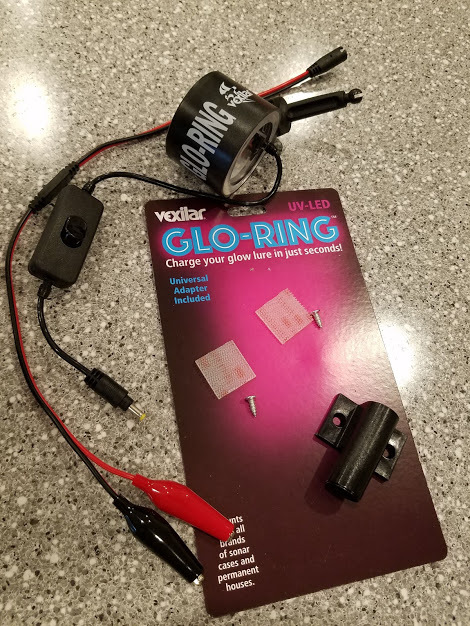 It connects to your existing Vexilar battery and comes with an on/off switch. The installation is easy, CHECK OUT THE VIDEO BELOW. This add-on to any Vexilar unit will eliminate the need to carry extra things out on the ice. No need for small flashlights, changing those small batteries or getting a dull charge on your jig or spoon. This glow device will give you a constant charge on your lures all year long without the concern of bringing something else with you. Bassmasters is a world-wide organization who started the bass fishing tournament craze in the late 60's. That same organization is the one that these young kids of Independence compete under. BASS created the youth movement about a decade ago. 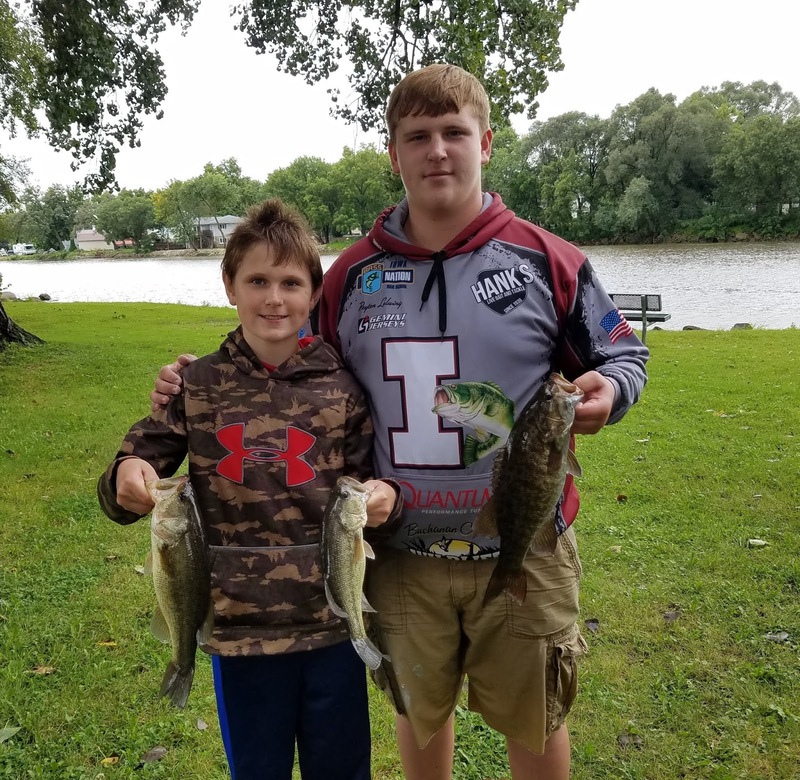 The Iowa Bass Nation began the youth state tournament at about the same time. 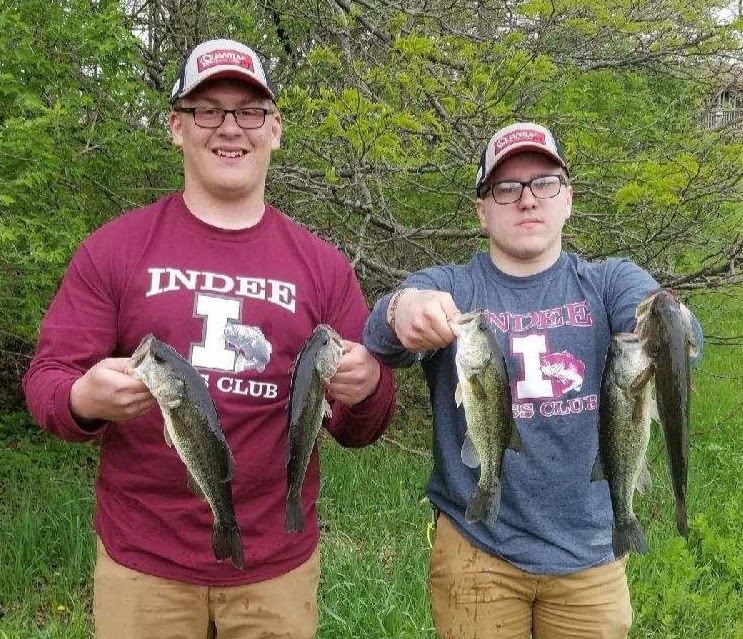 The Independence High School Bass Club was created about two years for the youth of Independence. 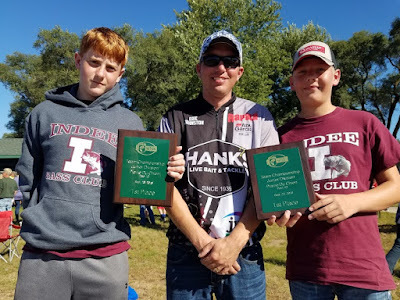 This year the kids had a chance to fish in 4 local tournaments and a couple of seminars organized by club coaches Todd Reed, Keith Donnelly and Garry Anderson. 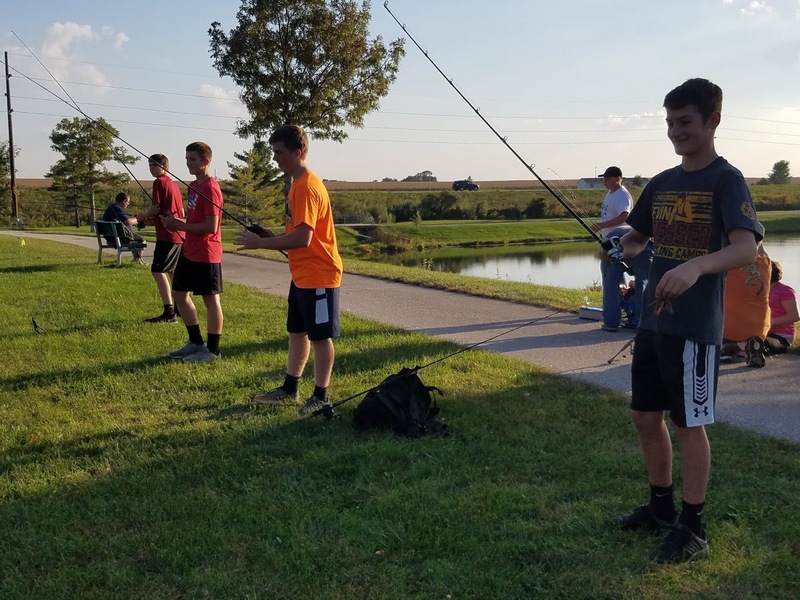 September 23rd was the annual Iowa High School State Bass Tournament, it has two divisions, one for 7th/8th grade students and one for high school students. 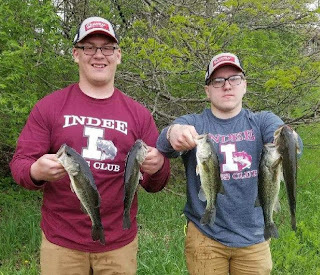 The Indee Bass Club had three teams consisting of Karter Wendling and Ryan Williams, Peyton Lolwing and Ryan Thompson, and Jackson Toale and Dalton Hoover. 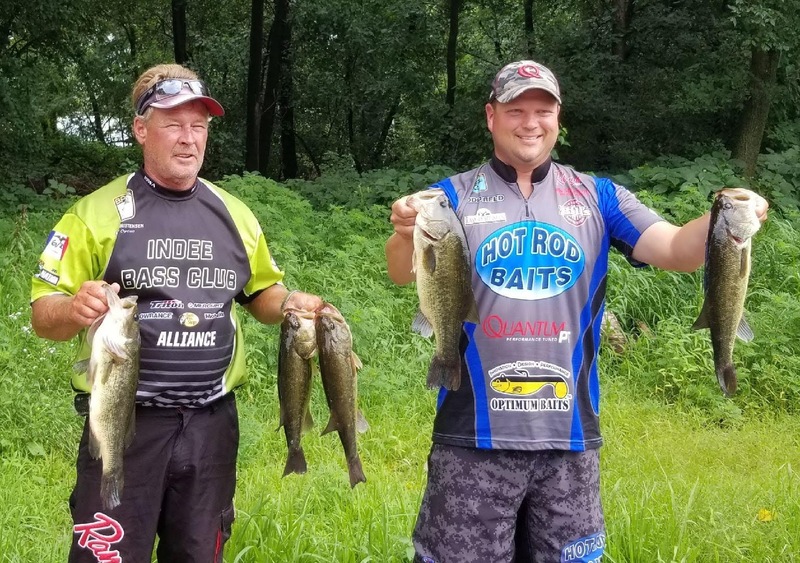 These three teams all weighed in bass at the end of the day and all finished in the middle of the standings. The Indee Bass Club had two teams represented in the Junior Division. 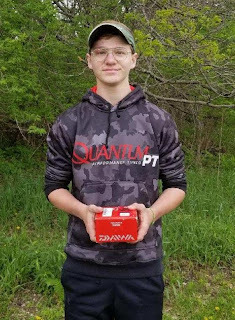 Camerson Wilson and Ashton Lolwing finished 5th out of the ten teams and Justin Schmadeke and Hunter Patton ended up Champions of this division. 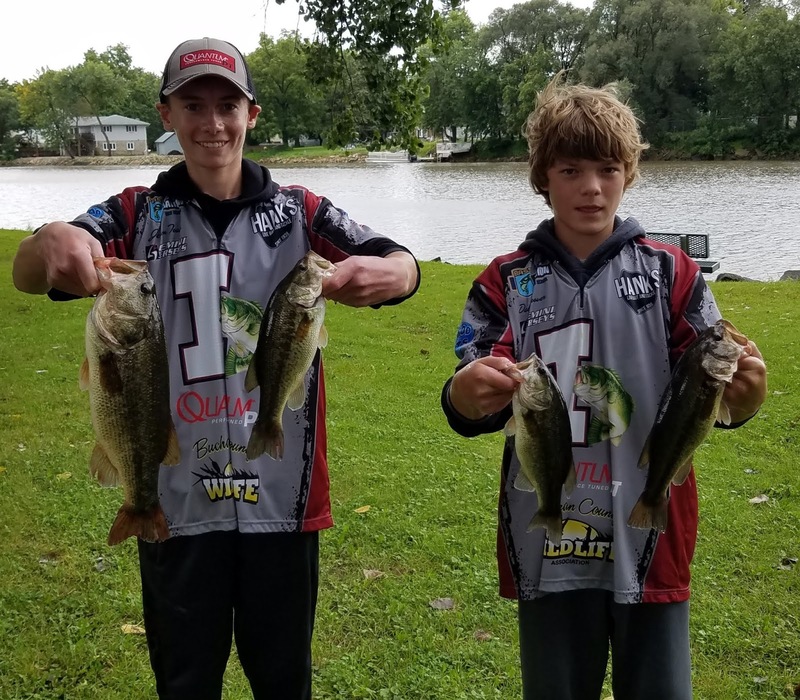 They caught 5 keeper bass that weighed 9.17 pounds that beat all other Junior Division teams. Boat captains for the five Indee Bass Club boats were; Brent Roluff, Eric Johnston, Trent Beier, Chad O'Brien and Dave Wilson. The captains are responsible for driving the boats around the tournament waters and keeping the kids safe throughout the day. It was a great showing for the club this year with every team catching bass to weigh in. As each group came into the weigh-in area I was thrilled as each told me that they had some bass to weigh in. Another wonderful weekend on the Mighty Mississippi River and one that these 10 young men will never forget! None of this would be possible without the support of our CLUB SPONSORS, please support them or offer a thank you if you have a chance. 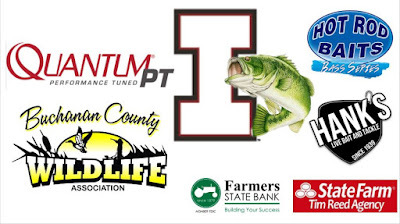 A huge turnout of Indee Bass Club members showed up for the fall seminars held at the Triangle Pond here in Independence, Iowa. 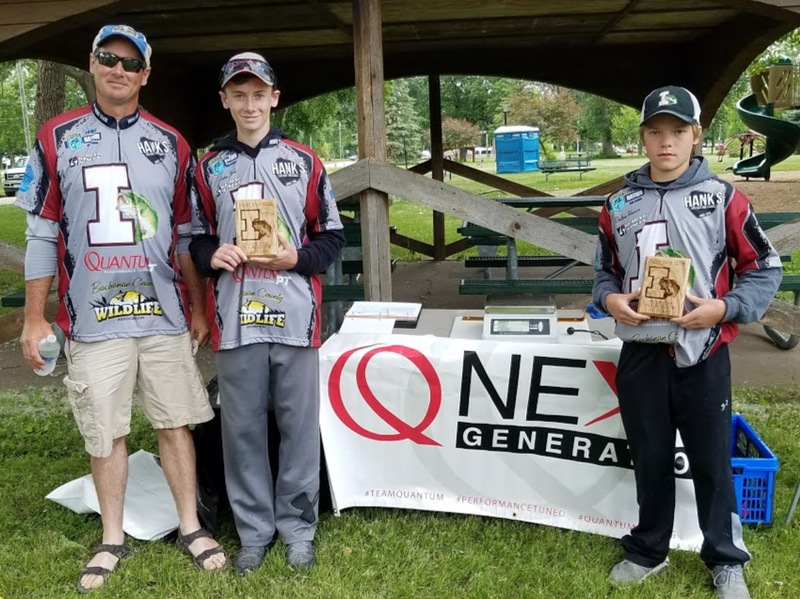 When Keith Donnelly and I started this club we had one goal in mind; to help the kids learn about bass fishing and help them get better. This night is always a great way to keep that goal alive for the kids in the Independence area. About 20 students were there to learn about casting techniques, rod and reel selection, bait choices and get any questions answered that they may have. 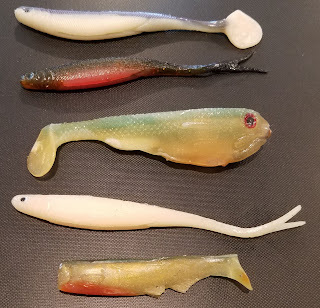 All students left the seminars with some new baits thanks to PROW (Preserving Recreation On the Wapsi), myself and Dale Gooding (fishing friend of myself). 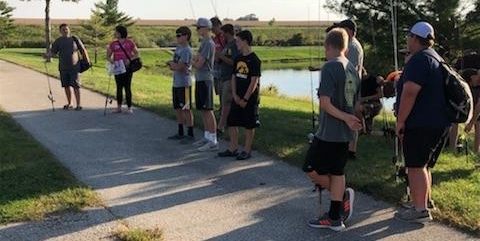 Students were able to get 1 on 1 attention while they casted, flipped and pitched there baits at targets, something that looks easy at first but isn't. 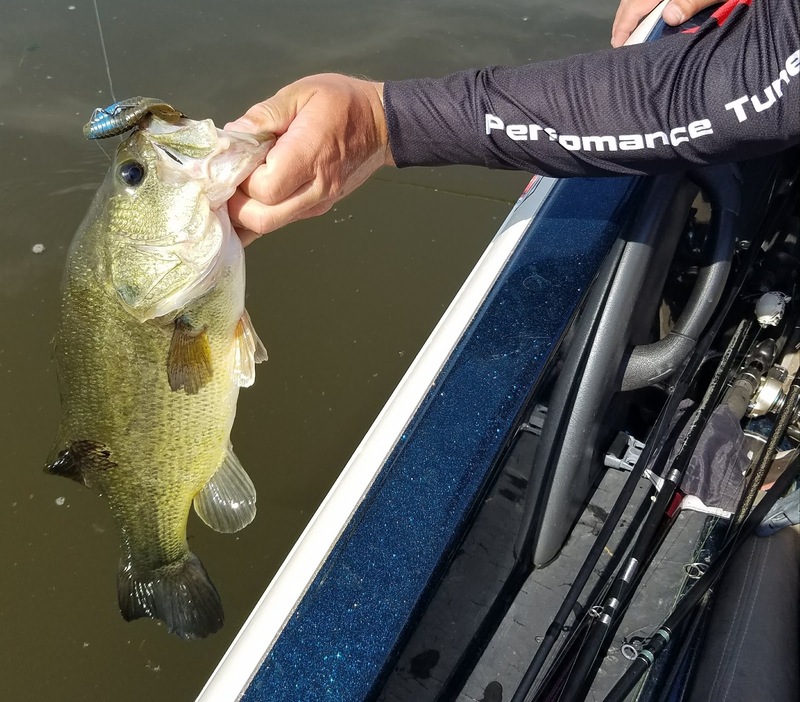 Most anglers at this age are pretty efficient at casting, but the art of pitching a bait to a certain target is still very hard for them. 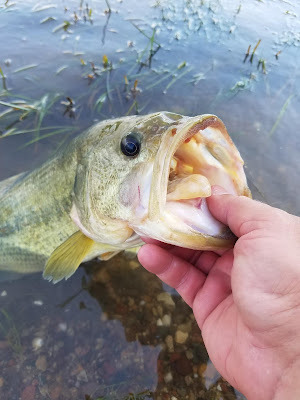 Practicing in the backyard is the best way to learn this skill, your neighbor might think you are a bit weird, but in the near future you can show them all those pictures of bass you have been catching! Thanks to the other adults that helped out with the learning on this night: Paul Schmadeke, Dave Wilson, and Randy Toale. 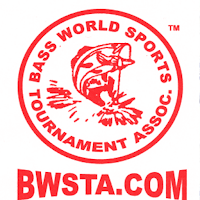 Saturday was the last Bass World Sports tournament of the year for Kevin Christensen and I. 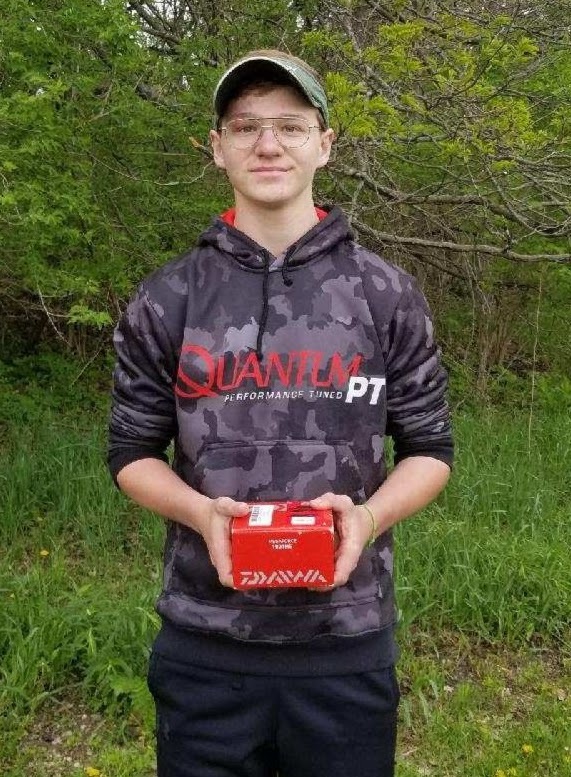 We had placed 5th in our first one this year and the second one we got caught behind the locks, but our weight would have put us in 4th place. We were determined to make this last one better than the previous two. 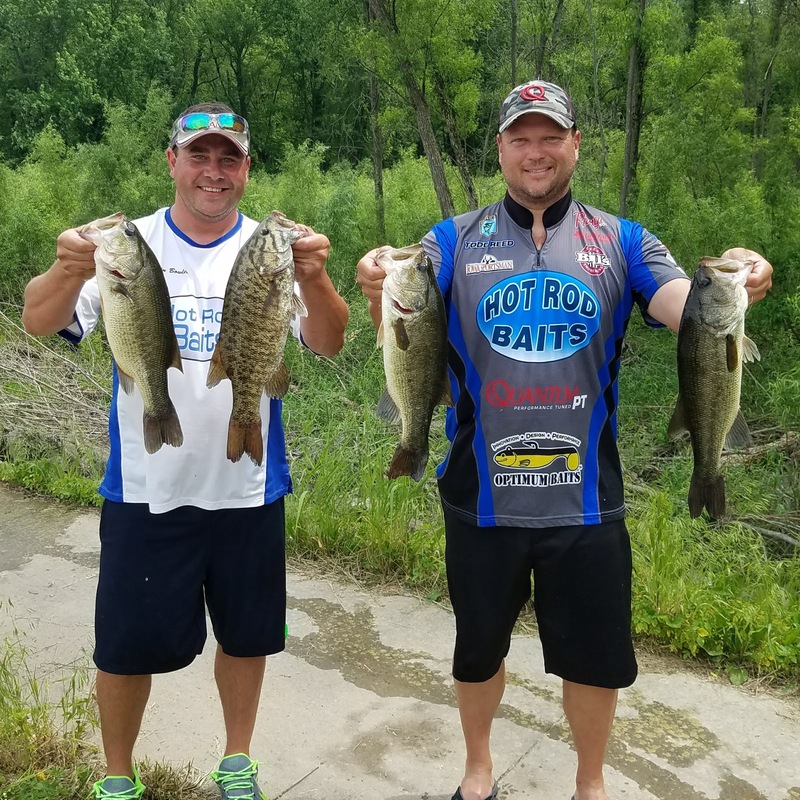 We both took our boats to Pool 9 the weekend before to search out areas where the bass were hiding. We were able to cover a lot of water using two different boats and we had a pretty good plan going into this weekend. The bottom half of the pool would get our attention and we stayed there the entire tournament looking for our 5 bass limit. In the areas we fished the bass were not in a chasing mood. 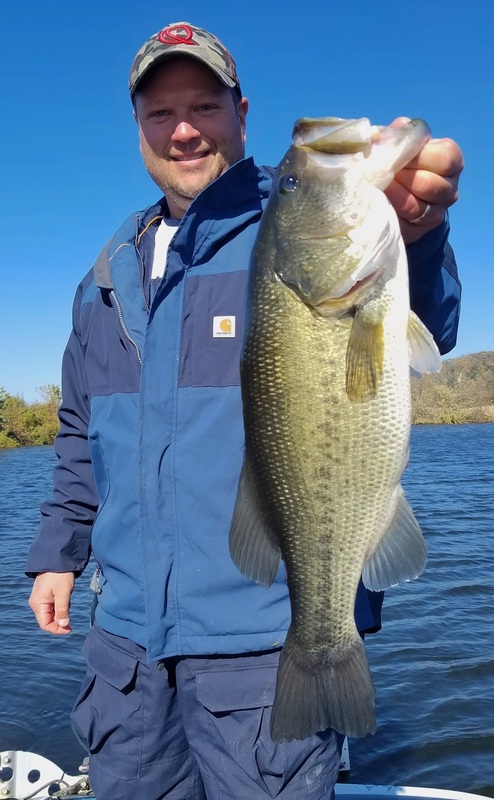 Texas Rigged Hot Rod Baits Tubes, Big Craws and Wig's Jigs were the ticket to getting the bass to bite. Black and Blue, and Mississippi Craw worked well when throwing jigs and the Green Pumpkin/Blue tube really shined this past weekend with the somewhat dirty water. Working both of these baits on QuantumPT flippin rods were key to getting the proper hook set in the current. 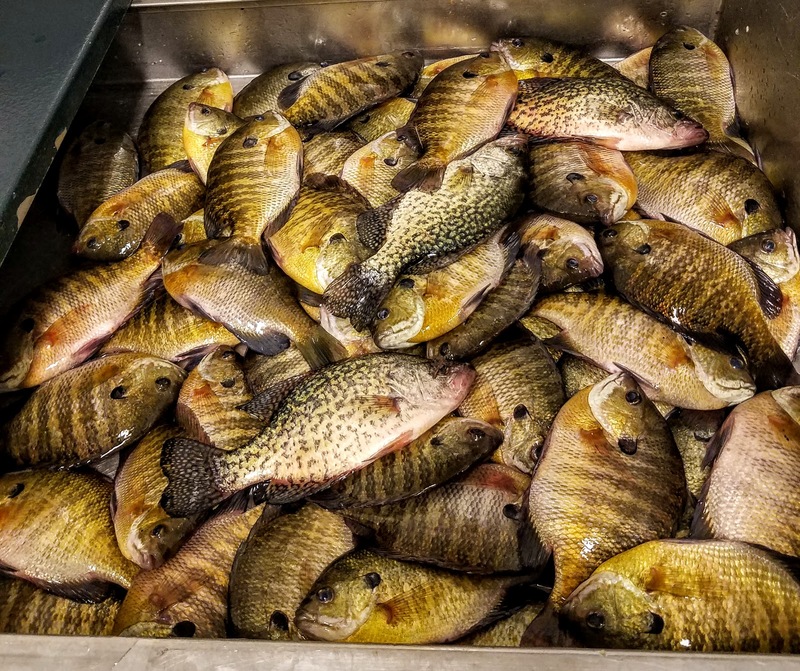 Water temps were in the low 70's and fish were still in or close to current areas. away to be caught another day. We chipped away all day long and had a decent limit by 9am. We were able to upgrade a few times but just couldn't get one last upgrade to take us over the top. 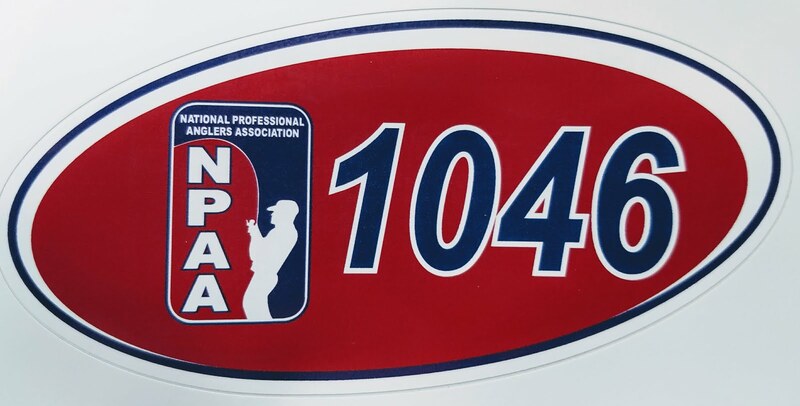 We knew we had about 12 pounds but that doesn't cut it in this league, too many top river anglers, it is a guarantee at each of these events that a few teams will load them up. We fished our best, and covered all the water we wanted to. 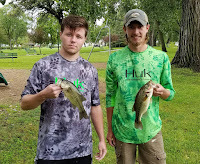 We ended up with 12.51# for our 5 keepers and ended up in 5th place out of about 20 teams. It was one of those weigh-ins that you say to yourself, "yep that is about what we deserve". We had 4 nice largemouth bass, but that last one that weighed about 1.75# was the one that soured the day. We were only 0.30# away from a 3rd place finish, so in the end that "stung" a bit but it also told us we had a good fishing day but just missed out on a good payday. There will be more chances for us! September 1st was the high school fall event on the Wapsi. 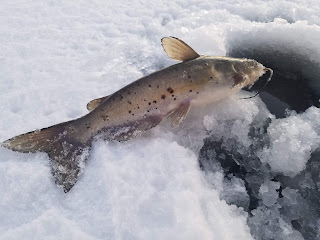 Several storms rolled through Northeast Iowa this past week and the Wapsi was on the rise. This definitely turned the bass off on this day making them difficult to find and catch. However, like any tournament there are always a few teams that seem to figure things out. The bite on the Wapsi was good the previous weekend and all throughout the week, but the river started to rise on Thursday and the bass were relocating come tournament time on Saturday. Of the nine keepers that were weighed in, only one was a smallmouth bass, very unusual for this time of year, but as past experiences have taught me, the smallies will be the first fish to "get out of town". 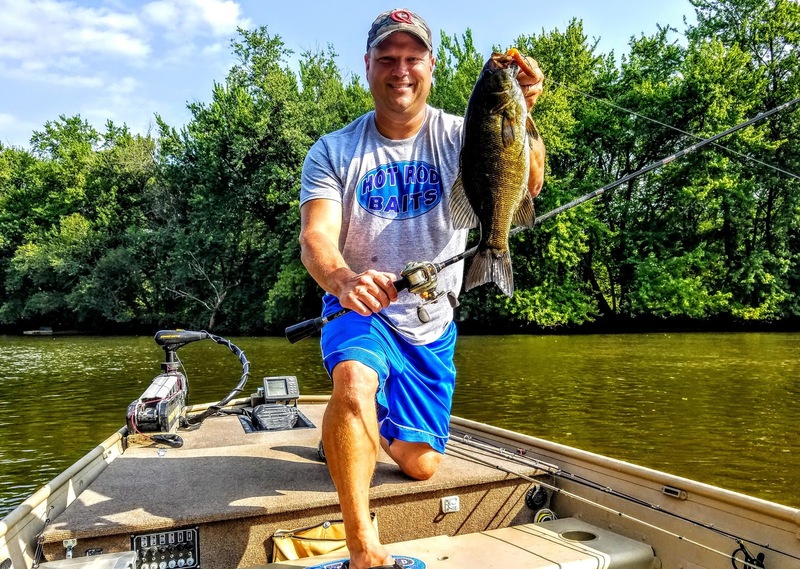 Tournament day was no different, the smallies were all but gone, and the largemouth stole the show at weigh-in. Top baits for the students during this event included; spinnerbaits, chatterbaits and buzzbaits, no surprise as the clouds and rain ruled the day. 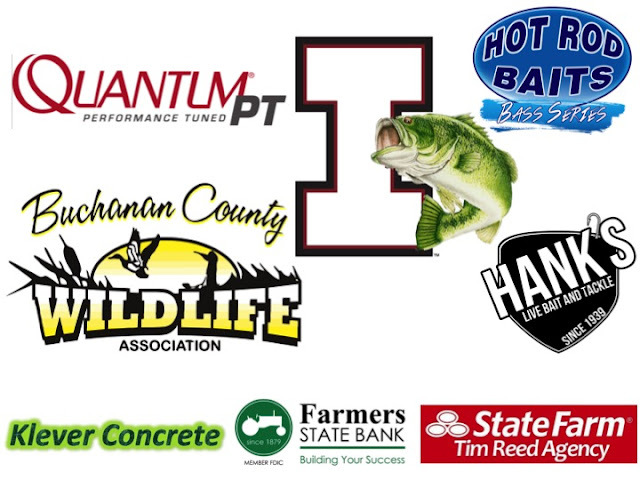 This event was made possible by Farmers State Bank. 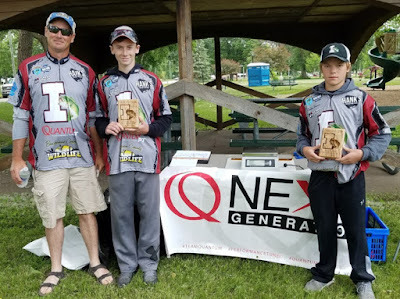 Their donation paid for the DNR tournament permit and plaques for the top two teams. 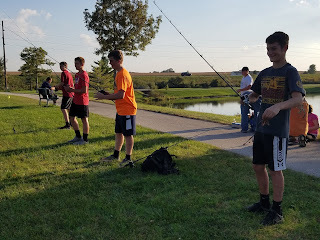 The club was also able to give away 4 rod and reel combos and PROW (Preserving Recreation On the Wapsi) gave away tackle bags and snacks to the kids also. 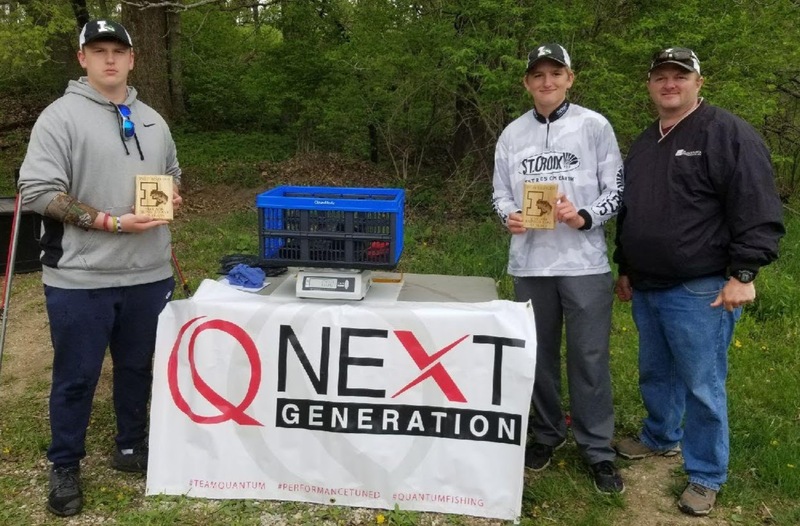 Although the weather made the day a wet one, the prizes and grill-out provided by Farmers State Bank left all kids and captains with smiles on their faces. As the competition season ends for the club, we all appreciate the following companies and organizations for everything they have done, without the following and the boat captains, the club would not exist. One of my favorite way to catch largemouth bass is with a hollow-body frog. I have tried dozens of styles and brands throughout the years but there is only one that has gotten used for the past decade. The Optimum Baits Furbit Frog is a bass catching machine. It has every feature, not just a few like many companies, that a hollow-body from needs to put bass in the boat. 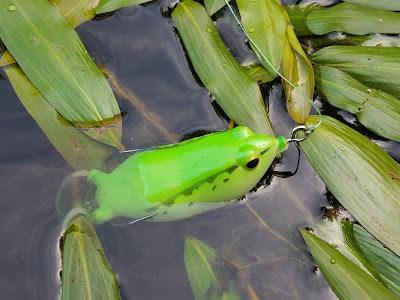 Color: Most frogs you see on the market are designed to catch the angler, many fancy colors on top of the frog, the fish will never see those colors. The Furbit frog comes in an array of colors, including the bottom of the frog too, what the bass actually sees. 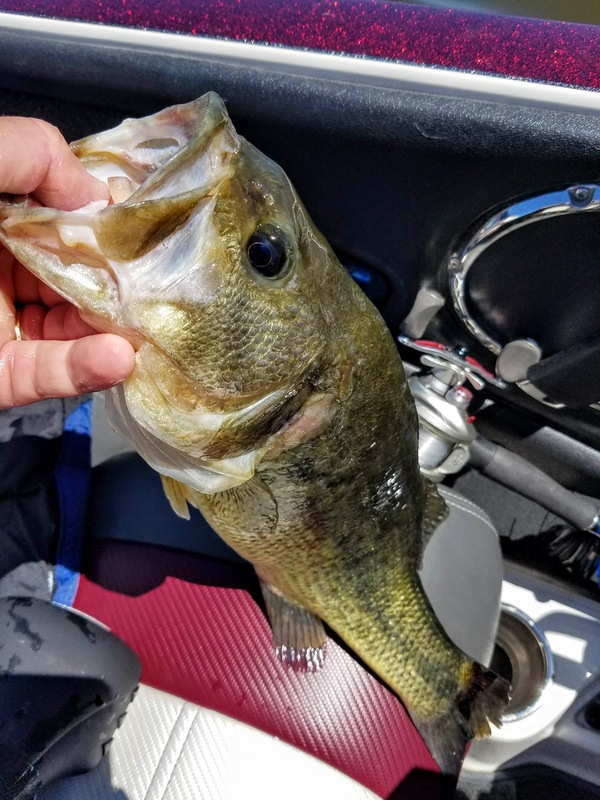 On emay argue that a bass doesn't look at the color anyway with a the visicous strikes that so often happen when frog fishing, sure in heavy vegetation the bass is seeing a shadow, but in most instances the fish will see the underside and color of the frog before biting. White, Black, Green Pump, Brown, Pink, Black/Yellow is just a few colors. Hooks: This really separates the Furbit from from many on the market today. This frog is made with a double 6/O hook, yes they are really that big. 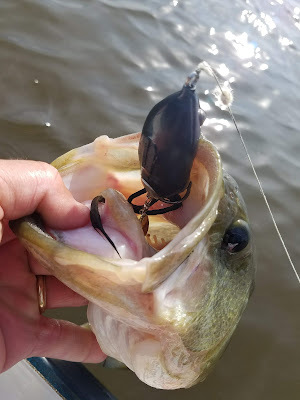 This provides the extra gap between the hook and the body of the from like no other frog out there. Wider gap and of course ultra sharp will have you hooked up! 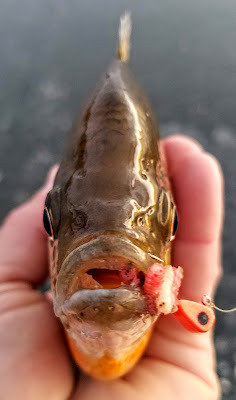 Weight: The most unique part of this bait is the placement of the weight. It rests under the actual hook. It by no means can get in the way of hooking the fish. This was a one of kind over ten years age when debuted and is still rare today on competitors models. The design and craft of this bait is second to none. 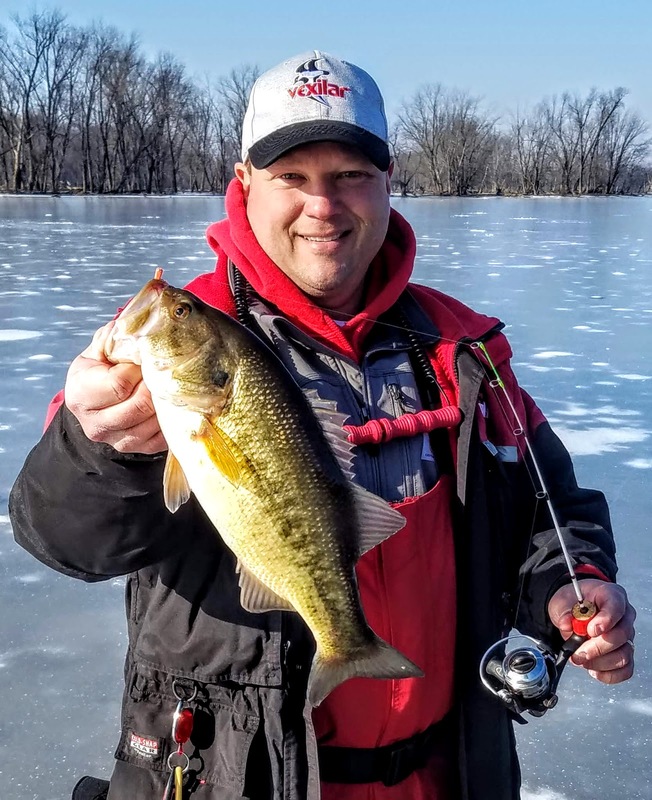 Most frogs on the market today have the weight between the barb of the hook and the shank of the hook, causing the gap to be much smaller than it should be, thus not hooking into the fish as much as the larger gap provided by the Furbit Frog. Attraction: One other item on the Furbit is a spinner that rests behind the legs. 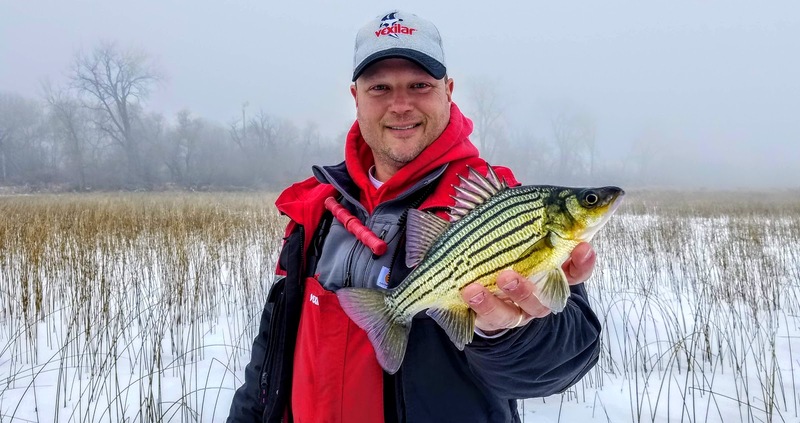 When in open water this acts just like a blade on a spinnerbait, allowing even more reason for a fish to come and take a look from long distances. Another added attraction are the rabbit fur legs of the Furbit Frog. These sway in the water when still and fan out as you bring it to rest, they look amazing to any fish nearby. 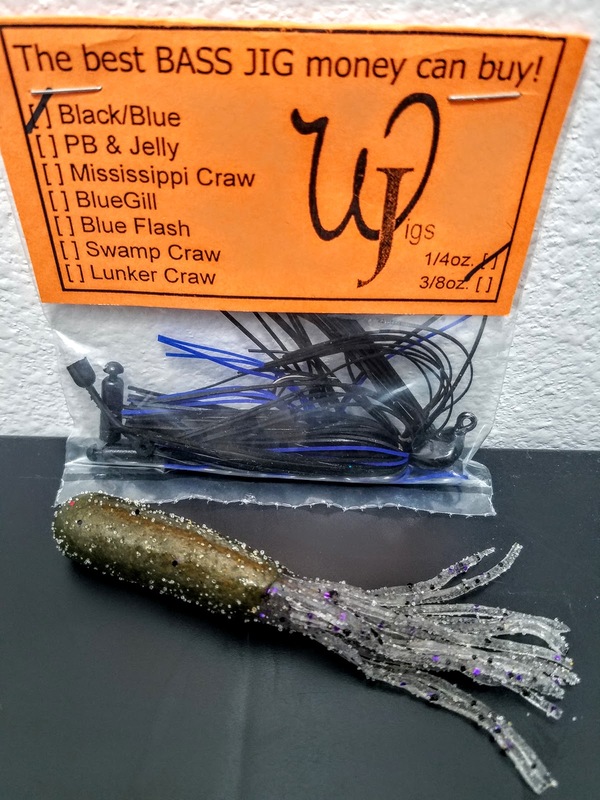 Weedless: Most every frog out there is weedless, that is the primary reason to throw one, however with all the extra design behind the Furbit it stays just as weedless as other frogs. There is a reason why the Optimum Baits Furbit Frog is still selling the same model they did in 2007 when it first appeared, it is simply the best frog on the market. The above reasons take this lure over the top when probing around weeds, laydown logs or submerged weeds. If you start to pay attention to your frogs, I bet you may see why the Furbit catches bass, not just anglers. As each summer winds down I always tend to think back on my years of fishing throughout the decades. I think back to the days when I had no boat, but would stay out all afternoon running the banks of the river looking for that next bite. I didn't always have 15 high quality rods/reels at my disposal, typically I had two poles back in my younger years. The past several weeks when bass fishing my big bass boat has stayed home, not because it wasn't ready for a day of fishing, but I didn't need it. 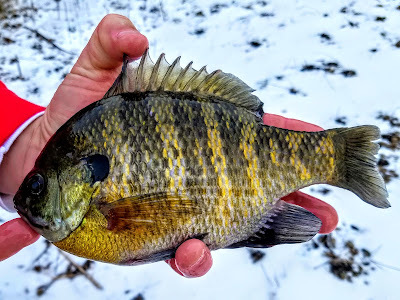 I really enjoy living a few minutes from the Wapsipinicon River and running my small river boat around, yes once again looking for that next bite. On the front deck is 3 or 4 poles, and a couple small tackle boxes of crankbaits, spinnerbaits and plenty of tubes and craw baits. Nothing fancy, but it sure has gotten the job done. In a week or so the first day of September will be here and the fishing this last month has been good. The river has been up and down and the bass have stayed in their summer areas as predicted. It has been nice to step back in time to a small boat, and just keep things simple. It has allowed me to catch just as many, if not more bass by going back to the basics. The simple pleasures of running the river in a 25HP motor will be something I will always do, nothing fancy, just me, my boat and the fish. 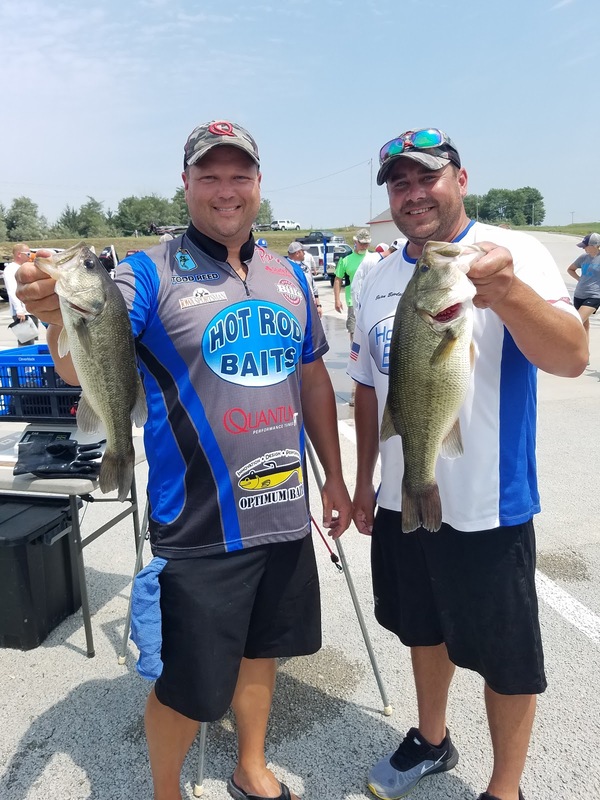 This Sunday was the last event in the Hot Rod Baits Bass Series. The event took place at West Lake in Osceola, Iowa. This series consists of 17 teams that participate in three events scattered around the state. The first was at Lake Sugema, then Pool 9 on the Mississippi River and the finale at West Lake. My tournament partner for these events is Brian Bowles from Marshalltown. We make a great pair that are not afraid to tinker with baits and different techniques. This has been a main reason for our success this year. I was able to head south and look over Osceola on Friday for a few hours and the entire day on the Saturday. This turned into a critical piece to our game plan for the tournament on Sunday. Saturday told me that the bass were hanging out on the main lake points and more specifically near that 15 foot depth range. Main lake points were holding fish as well as secondary points too. The depth and the rate of drop-off played a key part too. Baits that worked well were jigs and Hot Rod Baits Big Craws. A plan was in place after catching a few keepers and several smaller bass during the practice day. 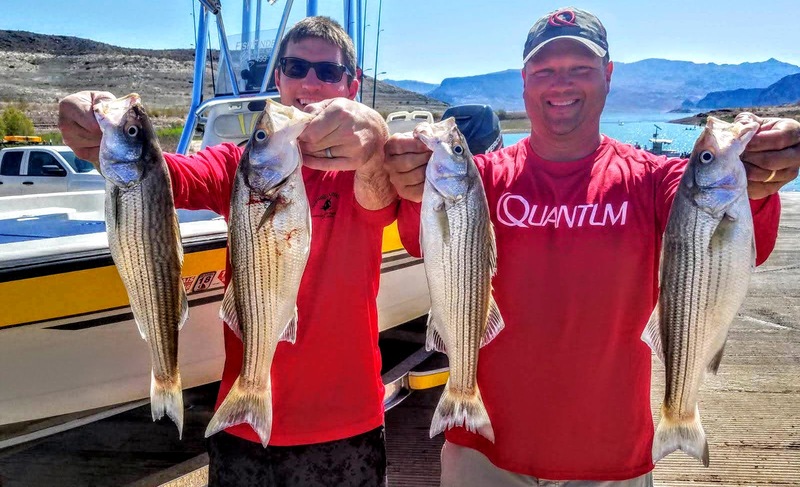 As I put nine Quantum PT rods and reels away, one thing was for sure, tournament day was going to be a grind. It is never a good sign when I have that many rods on the deck after a day of fishing. 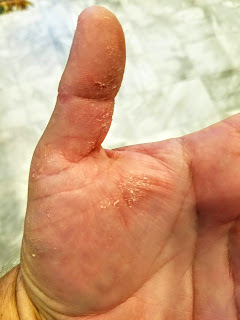 Bites were few and far between and the big ones were not showing themselves very easily. Tournament day began at 6am and we had 7 hours to try to get as many 14-inch bass as we could to the weigh-in. It was such a grind that I knew if we could get 3 keepers we would be right in the mix. Our day started off as planned b hitting some main lake points in the deeper water. The fish had disappeared. We stuck with it for almost two hours but nothing was happening. We decided to try shallow near some deer tongue weeds. This gave us an immediate sign of good thing to come. Brian hooked up on a Big Craw by slowly dragging it on top of the weeds. 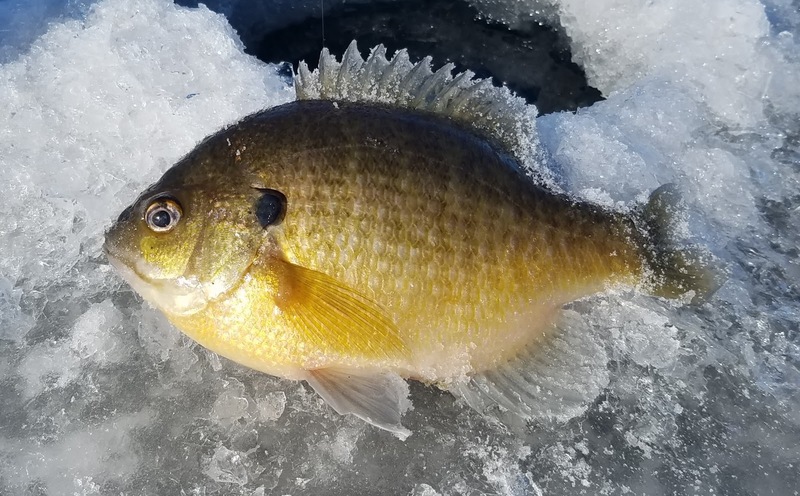 One keeper in the boat felt really good. We continued to hit similar weed lines with deeper water relatively close by. Our largest fish of the day came next on a weightless Hot Rod Baits Stickbait in the Jelly color; a nice 3.30# bass. After this bass was in the livewell we knew we were close to our target of three keepers. We continued to punch through the weeds and work the outer weedline, this produced a dozen or so smaller bass, but we couldn't get that third keeper in the boat by the time the tournament was over. 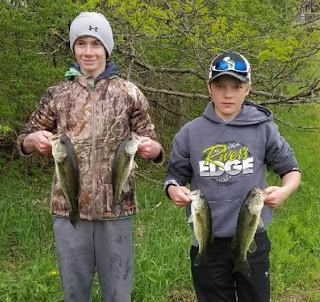 We felt good on the day as we changed up the plan just in time to put two bass in the livewell, it was the best we could do. Only one team was able to get a limit of six bass on this day, and second place only had one bass, a huge 5.68 pound bass. Our two bass which weighed 4.64# placed us in third...we were both a little shocked, but on a "grinder day" you just never know what it will take to place towards the top. This high finish also boosted our Team of the Year standings, we started the day as the 7th ranked team for the year and ended up as the third best team in the series, the highest Brian and I have ever placed. Full results of this event can be found HERE.